Border patrols have seen first hand the huge success of adequate border walls -- not walls with mere strands of barbed wire. In El Paso TX illegal crossings went down 89% when an adequate 125 mile wall was put up. And in Yuma, AZ illegal crossings along with crime went down 90%. None of the new prototype walls were able to be scaled by military commandos. The existing wall here in SD has done wonders. Does anyone remember how they used to bum rush the crossing where fifty would sneak by and we'd catch a couple? Not anymore. That and the current atmosphere of applying immigration laws has got illegal aliens self deporting. What a wall/more security will do is hold during another liberal administration. Just like the SD wall. Thanks, I looked it up and there was a 94% decrease in illegal crossings in San Diego when an adequate wall was built along with increased border patrol. Democrats keep saying they want border security, yet refuse to admit that strong adequate walls as part of the solution really work. 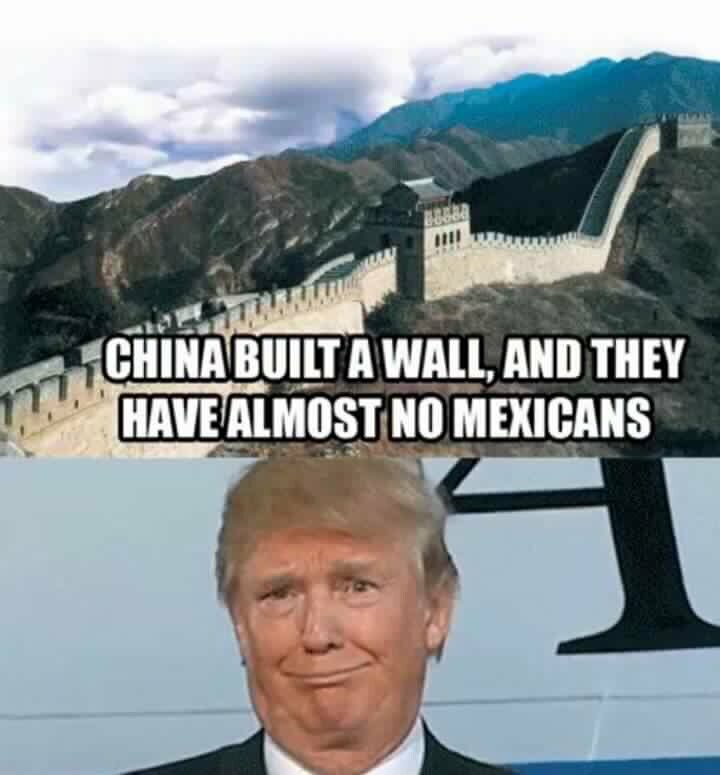 The anti-wall people will still remain in denial though. Didn't illegal crossings decline under Obama too?